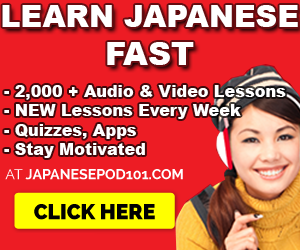 November 18, 2012 by The Junkie 12 comments on "How To Learn Hangul In Under An Hour"
Wake up: You should be spending LESS time drilling Hangul (grammar, rules, etc, etc.) and and more time putting it to use. If you’re spending more than a week on an Alphabet, either you prefer learning nice and slow (which is totally ok), or you’re wasting your time. 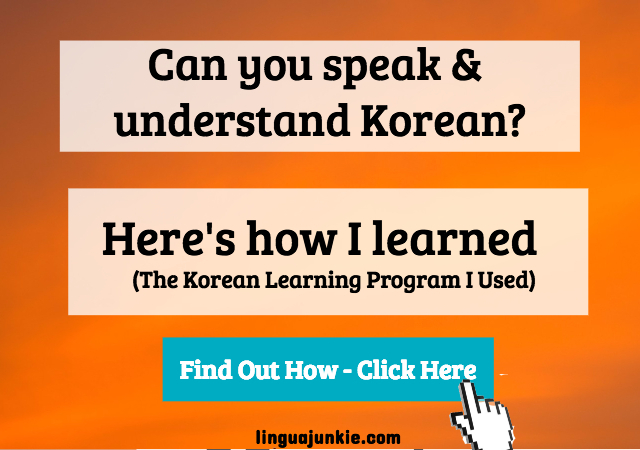 The basics of Hangul can be done & memorized in under an hour. Forget the combinations for now, we’re mastering the characters. Skip the flashcards, apps that “sound good” but get you nowhere, fluff-filled e-books on how to master hangul ONE BORING CHARACTER at a time. What you need right now is a sheet of all the characters. Consonants: 14 of them total. Lets start with learning the consonants first. Notice the chart below provides you with the romanization. 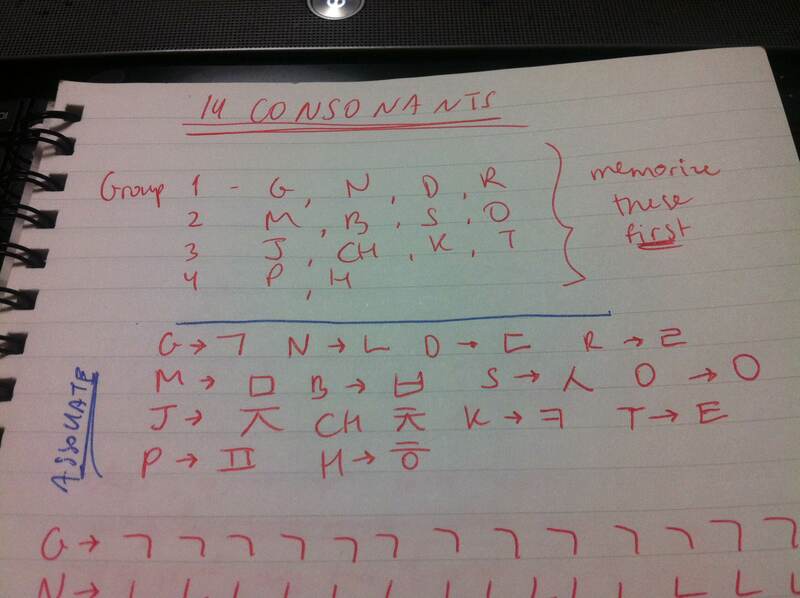 Step 1: Break down & Memorize the 14 consonants into 4 groups. For simplicity’s sake, I did 4 (4, 4, 4, 2). That breaks them down to #1 (g,n,d,r) #2 (m, b, s, o ) #3(j, ch, k, t) #4 (p,h). Memorize these 4 groups of ENGLISH letters first. Yes, I want you to memorize “g n d r,” “m b s o” and so on. Step 2: Write them out. Spend say 10 minutes writing all symbols out til you’re comfortable. Take a look at my image (in step 4) below as an example. ㄱ looks like the Russian letter G in reverse which makes it easy for me. In your case, you can try imagining the ㄱ as a gun, (also starts with G) or that horizontal line within the actual letter G.
ㄴ would look like an “n” if you took the curvy part of the “n” and flattened it down. Also easy. It’s the letter “R” but looks like a backwards S. Same as C is D, R is S. Can you think of anything else you can connect ㄹ with the letter “R”? Go with the first thing you think of. Do the same for the others. Step 4: Connect The Two. 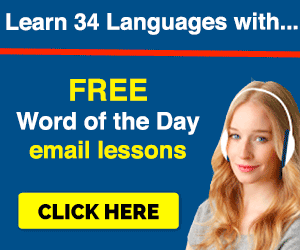 You’ve memorized the 4 consonant groups. (G N D R), ( M B S O), (J CH K T), (P H). Now write them out in Korean several times ’til you’re done. Step 1: The Vowel Breakdown. Do the same exact thing. 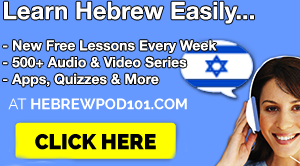 I break them down into #1(a, ya) #2 (eo, yeo) #3 (o, yo) #4 (u, yu) and #5 (eu i, ae) and memorize just the roman letter groups. Note: I broke ’em down into 5 groups. Same thing for #2 (ㅓㅕ), #3 ( ㅗ, ㅛ), #4 ( ㅜ, ㅠ) #5 (ㅡ, ㅣ, ㅐ). So, there’s a VERY EASY pattern to memorize groups 1 to #4. We’ll talk about it in a second. Remembering group 5 is easy now as it’s just 3 characters. But more on this later. For now, remember the groups. Step 3: Association: Remember the pattern mentioned above? All it really is, is adding an extra line or flipping the character. If you can remember this sequence, you’ll be okay. Memorize this pattern… from #1 to #4 Right, Left, Up, Down. Don’t get it? Just look at #1 ㅏㅑ… the characters are facing right. In #2 ㅓㅕ – they’re facing left. In 3, ㅗ, ㅛ, they’re up and in 4, ㅜ, ㅠ, they’re down. 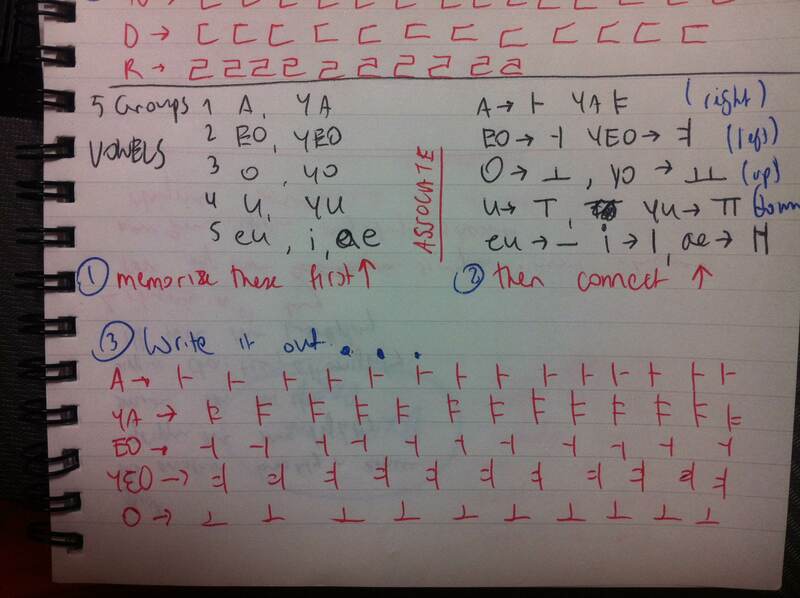 Step 4: Connect The Two: Once you’ve gotten used to the pattern or came up with other associations, just write out the korean characters based the the groups. #1(a, ya) #2 (eo, yeo) #3 (o, yo) #4 (u, yu) and #5 (eu i, ae). Memorizing this takes less than an hour. No need to spend days or weeks. However… easy come and easy go. You can learn this fast, but you can forget it even faster. Now, your next step is to jump into reading. 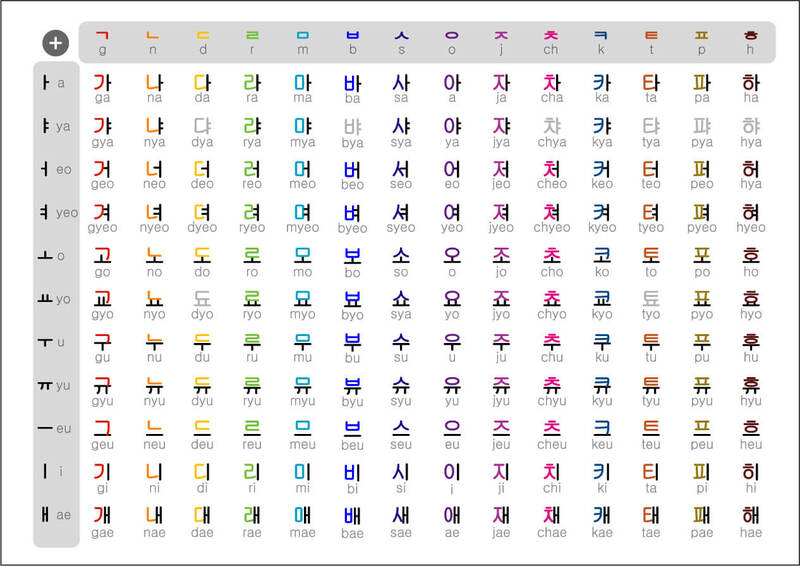 You need to put it to use in order to memorize or remember Hangul well. Start practicing your Korean reading skills and learn some conversational phrases now. Check out my other articles with Korean conversational phrases and put your Hangul skills to use. No problem! I should probably do one for Japanese too, huh? 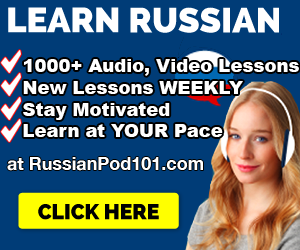 i recommend this site because it is very efficeint and i took lesst than an hour to memorize as well as wrote those alphabet without even looking at them. no you didn’t. nice spam though.